A Native Texan, Mr. Medina grew up in a real estate family working with buyers, sellers, and property management personnel, having over 20 years of practical experience to offer to his clients. A graduate of Texas A&M University, he is a proud Texan and has lived in Austin, Houston, College Station, the Rio Grande Valley, and has fallen in love with San Antonio, Texas! 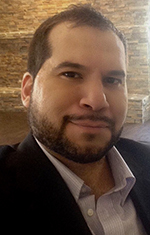 Prior to moving to San Antonio, Mr. Medina has worked in the banking and construction industry. He worked for Amegy Bank in Houston, TX & BBVA Compass Bank, in the Commercial Banking Division in McAllen, Texas. He also has experience in general construction and home building. He started a construction company and successfully built over 25 single family homes along with several commercial buildings. Having bought & sold investment property of his own, his extensive knowledge about real estate, construction, finance & property management has enabled him to successfully help his clients close their real estate transactions! His passion & dedication for helping people and his love of real estate is evident in the way he treats all his clients. From the first time, home buyer to the most experienced buyer/seller/investor, Mr. Medina can offer a smooth, pleasant, & successful experience for all your real estate needs! I was referred to Mr. Medina by a friend of mine and from the beginning to the the end of the selling process Mr. Medina was very professional knowledgeable about about listing and selling my house. We were able to get a contract fast because of the marketing tools that he implemented for selling my house. I would highly recommend to anyone that needs real estate services to use Juan M. Medina, he is an expert REALTOR®. Juan is not your typical REALTOR®. His business degree from Texas A&M and experience in buying and selling his own properties puts him head and shoulders above the rest. He will fight to get you the best deal for your property and using any other REALTOR® would be short changing yourself. Thanks again, Juan! I met Mr. Medina in early 2014….I was actually looking for a rental for my sister, when i had mentioned that I might be in the market to purchase a home in the future, Mr. Medina gave me his card and kept in touch with me. I had always thought of the idea of being a home owner again, and was interested, but there were a few situations that kept me from seriously considering the home purchase option. Since I am a Nurse, I have a very rewarding but demanding career! As time passed, Mr. Medina kept following up and remained patient & informative about the market, just to let me know that he was ready when I was! During that time, I got married to a wonderful guy, and we had a beautiful baby girl….so needless to say, my situation had changed for the better. I was no longer looking for a house just for myself, now I needed a house for my growing family. Fast forward to a Year and a Half later!!! We called Juan, and notified him of our new situation. Juan was soooo excited to hear about our good news, and was eager to help us in any way! Juan worked with me and my husband about the loan & financing options in order to purchase a home. Mr. Medina referred us to a great lender, and we were able to qualify for a first time home buyer program with Zero money down! My husband and I were so excited and were ready to start looking at homes! Mr. Medina actually met my husband on the first go around of homes to look at! I trusted my husband & Mr. Medina to find the right house for us. Mr. Medina told us about his knowledge in the area we were looking. He had sold several properties in the area and were looking forward to what he had to say about homes we were interested in!.Mr. Medina showed my husband several homes….and my husband decided on one of the homes that he saw. He told me about it, and after viewing the photos & info of the house, I agreed with my husband that we should consider it! Mr. Medina showed us the house again, and I fell in love with the size of the house, the area, and the fact that it had potential to make it our home! Mr. Medina was very informative and knowledgeable about how to go about submitting an offer, and what to expect in the buying process. Juan actually met us at our place of employment to complete the contract process, needless to say, we were very impressed with his passion, professionalism, and knowledge & expertise. We were new to the whole process and didn’t know what to expect…..but Mr. Medina helped us the whole way, which made our anxieties & worries disappear! He accompanied us to our closing, and gave us all the info we needed to close & move into our new house. My family and I are sooo happy and proud to be home owners, and we owe a lot of this accomplishment to Mr. Medina and his efforts! I would highly recommend using Mr. Medina as your “Go to” REALTOR®. He has the knowledge, confidence, patience, and expertise that you need when looking for a house or selling a house. I know that when it is time to sell our house and look for another one, we are definitely going to use Juan as our REALTOR®…he is the Best!! All 5 Stars for Juan! Juan was extremely helpful and educational when he helped me buy my first house. He picked up on my tastes very quickly and helped point me in the right direction. I ended up getting a very good deal on a much larger house than I had been aiming for but that suited my needs better; and still in my price range. I have now lived in my new home for 4 months with very few complaints. All 5 stars for Juan! Juan is professional and has the ability to explain the home buying process in a way that is easy to understand. I will recommend any family member or friend to Juan when they begin the home buying process. I could not have asked for a better REALTOR® or home buying experience! Thank you Juan!! As a public servant….I know what it takes to represent hard working Texans and to help people in our communities! I have known Juan M. Medina and his family virtually my whole life. He is a man of integrity, extremely hard working, and very knowledgeable in his craft. If you are looking for a real estate expert to help you with all your real estate needs, I highly recommend using Mr. Medina as your REALTOR®. He will no doubt get the job done for you. His patience, due diligence, and knowledge of overall real estate, makes him a truly special REALTOR®! "Juan helped me every step of the way in selling my rental property, despite my limited knowledge everything was explained perfectly and recommendations regarding each step of the process were easily accepted. Since we are a Military family, we had to communicate & correspond long distance. We were able to sell the home quicker than I could have imagined and that is a direct result of Juan's expertise." "As a first time home buyer, I entrusted Mr. Juan Medina in making my dream, my greatest achievement come true. The entire process was smooth. Within one month, the search and closing was successfully completed. Juan referred me to an outstanding mortgage loan officer. He found a home in a subdivision I had hopes of one day owning a home in. Juan prepared an offer to the seller who initially accepted. Mr. Medina was informative and focused at ensuring that all my needs in investing in a home were met. I am truly blessed and grateful- for Juan's passion and long time expertise in real estate. THANK YOU JUAN! :)"
"Back in the summer of 2014, my entire family was being PCS’d (military transfer) to San Antonio, Texas, from Germany! The Army base in Germany had announced they were closing, and our new orders were to be in San Antonio, Texas. With this new found information, we started researching real estate brokerages and Agents. We had called Juan's office about some properties we had seen online, and we spoke with Mr. Medina about the relocating & home buying process. He was very pleasant and helpful. Since, we only knew very little about San Antonio (we did have a relative living there for a few years), we relied on Mr. Medina’s knowledge of the area, proximity to the military base, and information on housing prices, neighborhoods, and schools! Mr. Medina also explained to us that we could possibly qualify for a VA Loan, and he helped us get in touch with one of the lenders he works with, we were able to get qualified and we were so excited!! We wanted to be in a nice neighborhood/community, and Mr. Medina told us about Cibolo, TX, a suburb of San Antonio. The great schools and lovely neighborhoods were appealing to us, and began to seek out properties in Cibolo. Mr. Medina was very understanding and patient with us, as we needed a larger home for our growing family. After viewing several properties, we finally fell in love with a house that Mr. Medina showed us, our kids loved it!! An added bonus was the close proximity to the military base where my husband would be commuting to! He helped us with the contract offer and other details associated with buying a house. We subsequently were able to get the house, and we have been able to make the house our new home. When we arrived to Texas from our long trip from Germany, Mr. Medina met us at the house personally to welcome us and our family. Needless to say, we were very impressed!! We could not have gone through this whole process without the guidance, expertise, knowledge, patience, and understanding of Mr. Medina. We would highly recommend using Juan M. Medina as your Realtor to help you find a home to purchase or sell your home!! Edwin & Jelene J"
"My wife and I were relocating to San Antonio, TX from Alabama….although we had lived in North Texas in prior years, we were unfamiliar with San Antonio, and the different neighborhood s/areas the city had to offer. My wife called Mr. Medina's office, and he proceeded to give us the proper and accurate information we needed to make an informed decision. He helped us from the very beginning, included helping us get financing with a great mortgage company! Doing all this mostly via email and phone, because we were still in Alabama. He would send us property listings and follow up with us to see what we thought of the information, pictures, etc. As soon as we arrived in San Antonio, we used the information of properties that Mr. Medina had given us, and we looked at several neighborhoods. Realizing we were brand new to San Antonio, we had our preferences of schools and other specific amenities that we were wanting along with our preference of home style, size, etc. Needless to say, we were going to be a bit “picky” with our buying decision. Through it all, however, Mr. Medina was very patient and understanding of what we wanted. I was adament at looking at a ton of houses, and we did! After the first few houses, I realized I didn’t like any of them!! Not that there was anything "wrong" with any of the ...i just had a feeling we were not going to find what we were looking for. But, Mr. Medina never gave up on us..he kept sending me information and details on houses, neighborhoods, school districts, etc. We finally set our sights on a brand new spec home that had been on the market for several days. Mr. Medina helped us negotiate the price and oversaw the entire transaction from step A to Z. His recommendation for the inspector was a great idea!…even though the house was brand new. I relied on his experience as a previous home builder to guide us through the process. He put my mind at ease several times through option period and financing period. His prior experience in banking was instrumental in translating a lot of the financial terms that my wife and I are not exposed to on a daily basis. He explained everything in Laymen terms for us. He was always available, was very prompt in returning my calls, txts, emails, and always had a pleasant demeanor about him. He was very easy to talk to and made us feel comfortable, whether he was showing us houses, negotiating contract terms, and even at the closing table in the title company’s office! I would definitely recommend Mr. Medina to anyone who is looking to buy a house in the San Antonio area. He is very knowledgable, had experience in structuring offers, and follows up thoroughly throughout the closing process. We are now very happy in our brand new home!!" "My wife and I are both local educators in San Antonio, and wanted to purchase a house near the school district where we both work. We had been renting for quite a while, and knew we wanted to purchase a home, we just didn't know about how to go about it. When Mr. Medina had told us we could get pre qualified for a mortgage, we jumped at the opportunity to go thru the process...we knew we wanted a slightly larger home for our growing family, and in a nice area that had the community amenities we wanted. Mr. Medina, referred us to a great lender that he works with, and with a few steps of working on our credit situation, we were able to get pre qualified! Mr. Medina then educated us on the fact that our mortgage payment would be LESS than our Rent pmt!! We were of course sooo excite to hear about that! We then proceeded to look at several homes, and fell in love with one of the homes Mr. Medina showed us. He was very professional & patient with us, and took the time to explain the buying process i.e. how to properly make an offer, the home inspection process, the appraisal report that the lender orders, and when & where we would be closing. We relied on Juan's experience & knowledge of the real estate industry to really guide us. We trusted him the whole way! We did a walk thru of the house the day before we closed, and we fell in love with house all over again. We were so anxious to sign & close on our new house. We would not have been able to find the kind of deal, house, and financing with out the assistance of Mr. Medina! We are so happy in our new home! We would recommend Mr. Medina & his services to anyone who is looking to buy or sell their home. His experience, education, knowledge, professionalism, and patience really made all the difference to us. Thank you Juan!!!!"